To Save the Date, or to Not Save the Date that is the question! As I was designing these new colorful save the date cards I thought, many times when I speak with a new bride-to-be on the phone they ask this question. 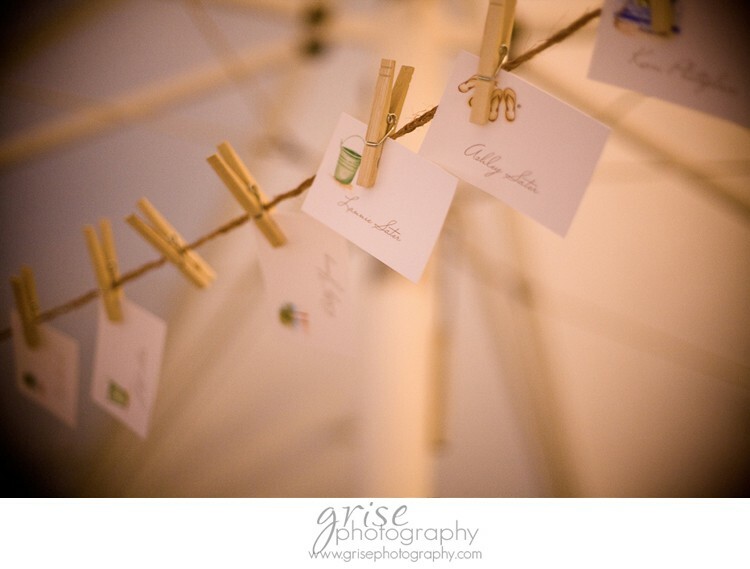 Let me start by saying save the date cards are used to tell your guests to “Save the Date” for your wedding day or weekend. Pretty simple, right!? Personally, I say just send out yourÂ wedding invitations early if you need a response earlier than the norm (1 month before wedding in the USA). Then YOU save money. Sometimes guests need an entire year to plan for travel expenses and vacation/holiday time from work. 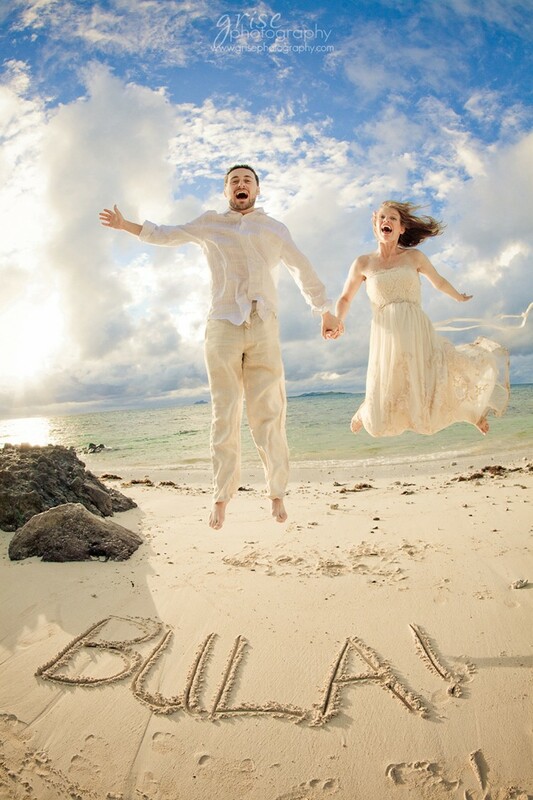 If you are having a destination wedding you will want to give your guests ample time to plan ahead. 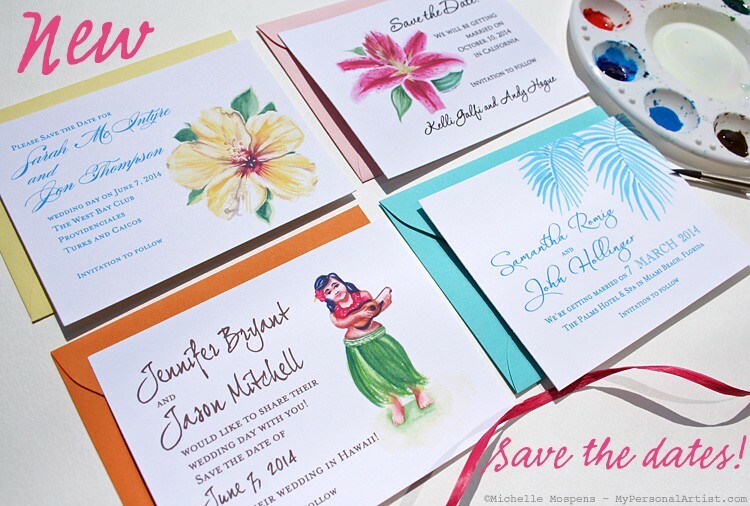 When should you send out save the date cards? For 12 years, I’ve been telling our brides/grooms 8-12 months before your wedding day. 1. Only moisten your OUTER ENVELOPE edging. Do not moisten your inner envelope, more than likely they do not have adhesive on them. 2. Do not over moisten the envelope adhesive. To much moisture will wipe away most adhesive causing your envelopes to not adhere properly. 3. Personally I wouldn’t use my … well … I wouldn’t adhere them like Susan is, shown here. I would use a tube type moistener from Staples. 4. Once you have adhered the envelope shut, do not open and try to glue shut again. Get a new envelope. 5. Never use just seals/stickers alone to keep your envelope flaps closed. I have personal experience with this. The flaps will tear and open your envelope. Just remember to KEEP IT SIMPLE. Breathe and enjoy!! Photo credit from Daily Seinfeld. 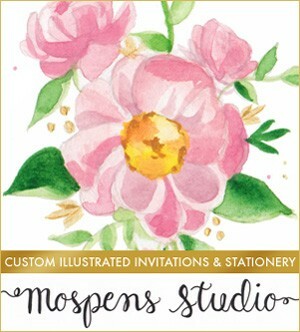 Not only do I love this warm and elegant palette of color, I am delighted to introduce you to my newest floral branch wedding invitations design JULIA! The brown and mocha taupe dresses are by Jordan style numbers 748 + 729. The branch centerpieces are by Westborn Flower Market and the photo is by Abby Rose Photo. 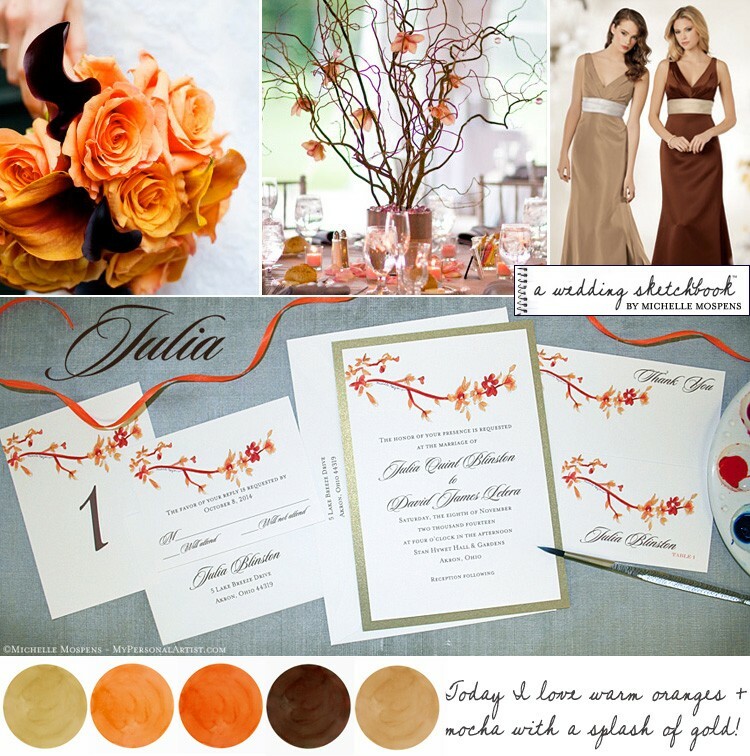 The fabulous orange rose bouquet is by Lyndsey Loring Design and the photo is by Studio Atticus. Many times we receive wedding invitation text with the year written in many different ways. 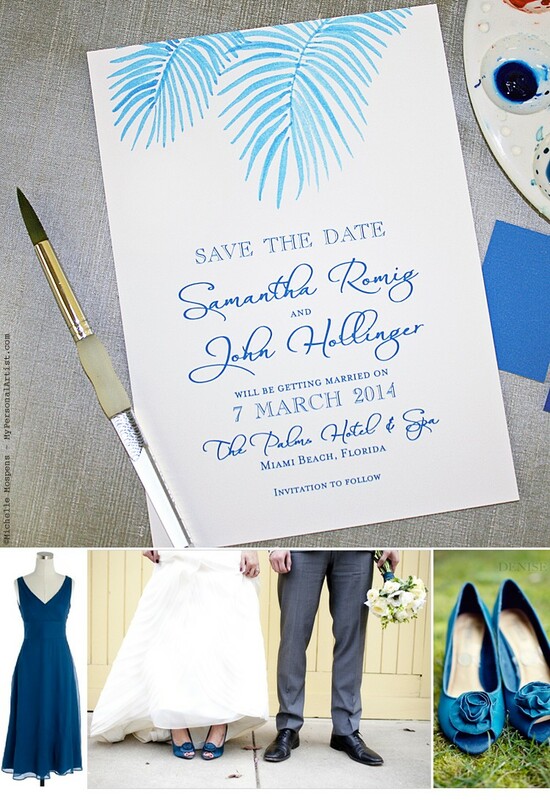 I was delighted to give my trend-setting palm fronds design a fresh coat of paint and brand new hand painted look for Samantha and John’s beach theme save the date cards! Fun in the sun! Samantha choose the lovely dress in Matisse Blue from JCrew for her bridesmaids! 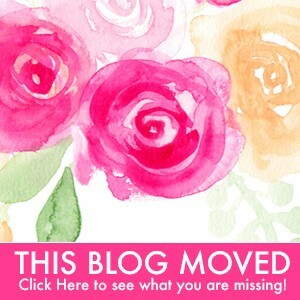 I found these lovely shoes on the Wedding Chicks blog for her (the bride) to wear that match perfect! Don’t you just LOVE them?!!! The two photos on the above right are by photographer Denise Bovee. I love the bride’s bouquet with a lovely matisse blue ribbon wrapped around the stems. Loveleeeeey! Wet Paint! Brand new hand painted peacock feather design for Courtney Dial of Pizzazzerie! 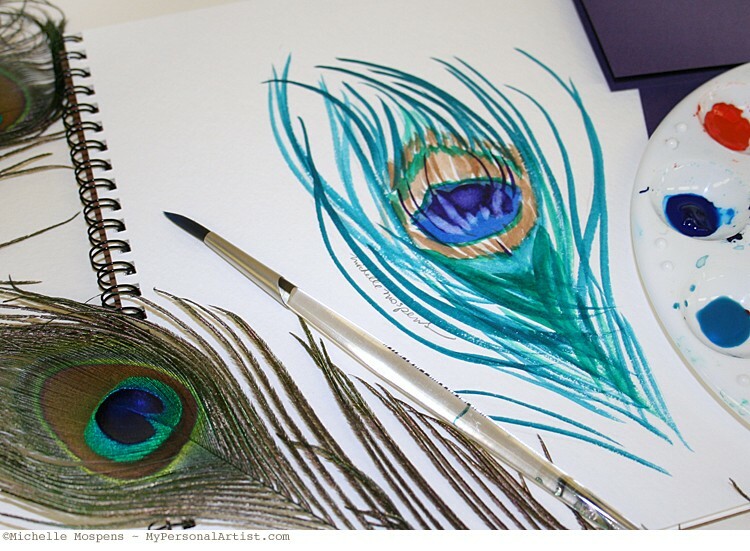 I wanted an unexpected twist on this popular feather design. My hand painted version shown above, hand painted in jewel tones of teal, blue, purple and emerald green. 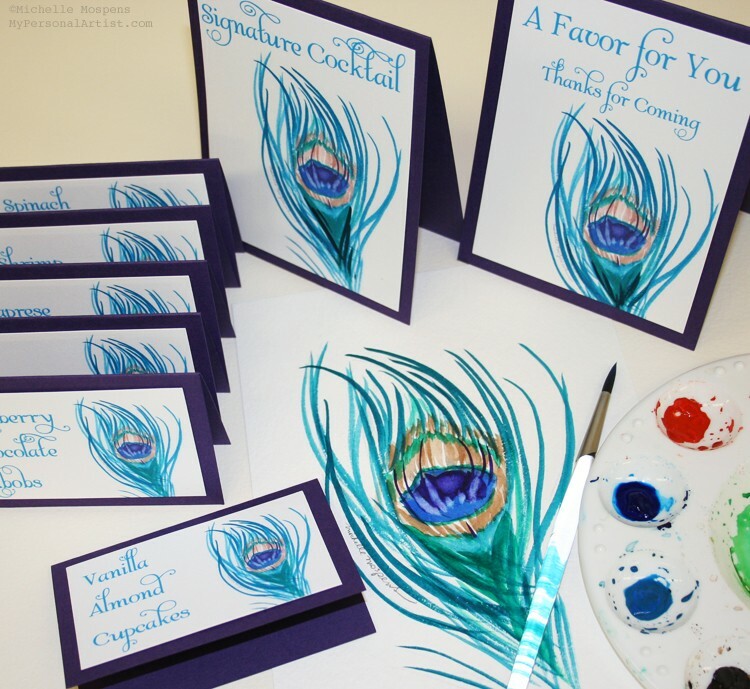 The dessert cards are also available as place cards or seating cards for your peacock themed wedding! I was speechless when I received the most amazing wedding photos by Jenny Grise Photography in my email from our clients Elizabeth (aka Bit) and Jay!